Zaheer Khan & Sagarika Ghatge Are Having A Blast In The Maldives Celebrating His Birthday! 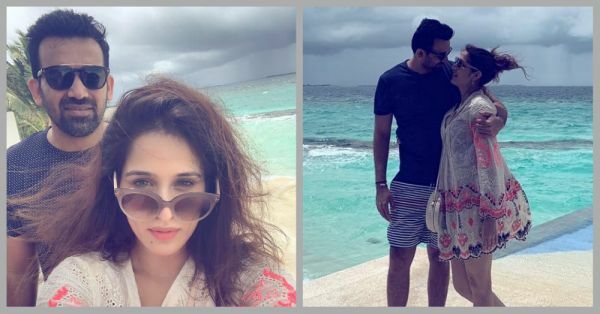 Zaheer Khan and Sagarika Ghatge are back in Maldives. And this time it's for Zaheer Khan's birthday! It seems that the Maldives is the couple's favourite travel destination as they enjoyed their honeymoon here as well. Not to forget, they shared some stunning pictures from their trip on Instagram and gave us some serious honeymoon goals back then. "Happy birthday to the love of my life❤️ the kindest, strongest, thoughtful and most giving. Happy happy birthday husband. I love you ❤️💕"